Google is making a name for itself as an innovator of groundbreaking new technology. At first glance this makes their venture into the cutlery market surprising. But the new spoon being developed by Google-owned Lift Labs is not your average utensil. 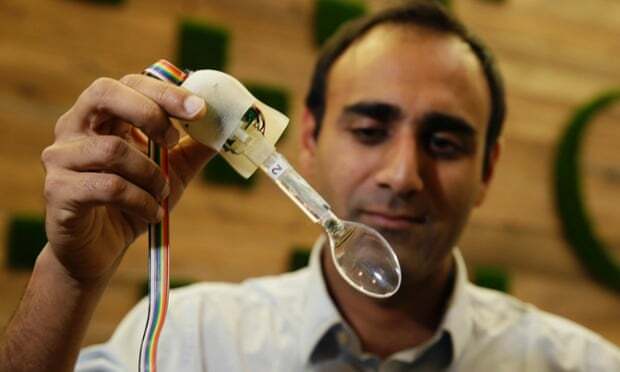 The spoon helps people with tremors eat more easily, by sensing movement in their hands and counteracting it. While the spoon handle doesn’t reduce tremors in the hand, it keeps the end of the spoon steady making for much easier mealtimes. According to Dr. Jill Ostrem, the spoon has even helped some patients who previously had to be fed by someone else to eat independently. So it's a powerful spoon, but this is also reflected in the price. At $295 it’s far from cheap, but there’s no doubting the potential improvements in quality of life this device brings with it.